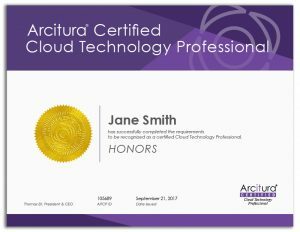 A Certified Cloud Technology Professional has demonstrated proficiency in the concepts, IT resources, and implementation mechanisms used to assemble and evolve cloud platforms via common utilization models. 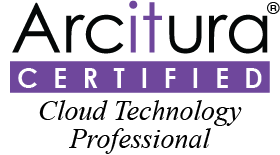 A Certified Cloud Technology Professional has demonstrated proficiency in the concepts, IT resources, and implementation mechanisms used to assemble and evolve cloud platforms via common utilization models, such as Software-as-a-Service (SaaS), Platform-as-a-Service (PaaS), and Infrastructure-as-a-Service (IaaS). An understanding of fundamental cloud computing concepts and terminology are second nature to the Cloud Technology Professional, as well as the advantages, disadvantages, and general implications of using and combining common cloud computing mechanisms and cloud security mechanisms. Furthermore, the Cloud Technology Professional must possess the ability to associate cloud computing mechanisms to the realization of specific characteristics, benefits, and goals assigned to cloud environments and cloud-based solutions. In addition, the Cloud Technology Professional needs to be able to identify the common threats and challenges to cloud services and supporting IT resources, in order to leverage cloud security mechanisms and when necessary, moderate the use of cloud computing mechanisms. 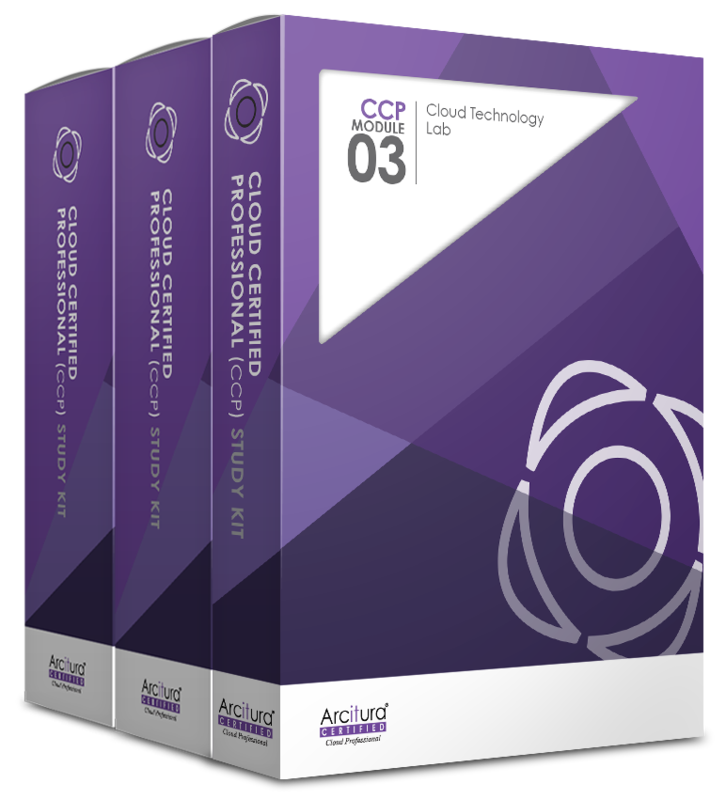 The Cloud Technology Professional track is comprised of CCP Modules 1, 2 and 3, the outlines for which are provided in the upcoming pages. 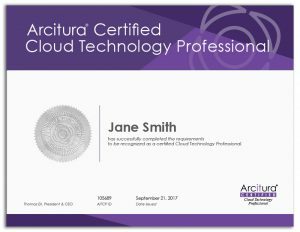 Depending on the exam format chosen, attaining the Cloud Technology Professional certification can require passing a single exam or multiple exams. Upon achieving the accreditation, certification holders receive a formal digital certificate and an Acclaim/Credly digital badge with an account that supports the online verification of certification status. 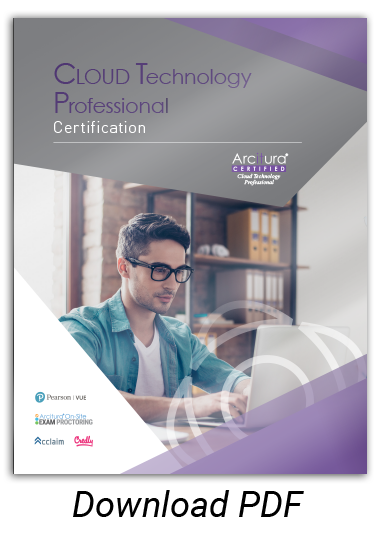 The Cloud Technology Professional certification track is associated with the following courses, study kits and eLearning kits. The courses can be delivered via instructor-led training. The study kits and eLearning kits include the course materials and additional supplements designed for self-study. 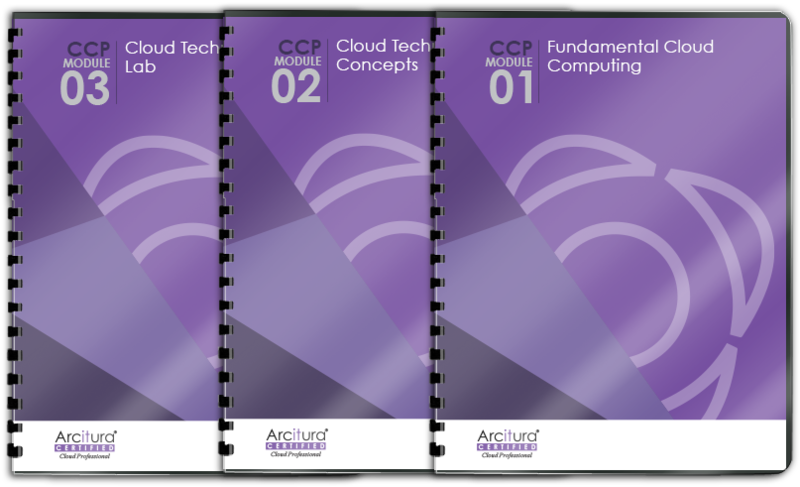 Complete one module-specific exam for each course module in Cloud Technology Professional certification track. This is recommended for those who want to progress gradually through the track and who would like to be assessed after each course module before proceeding to the next. 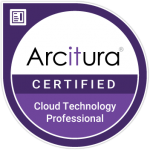 Complete a single combined exam for the entire Cloud Technology Professional certification track. Recommended for those who want to only take a single exam that encompasses all course modules within this track. Complete a partial exam. 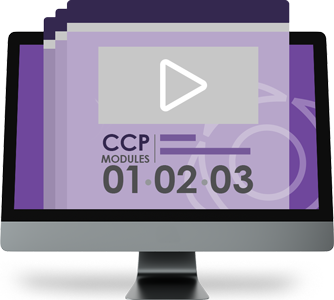 Recommended for those who have already obtained a CCP certification and would like to achieve the Cloud Technology Professional certification without having to be retested on CCP Modules 1 and 2.